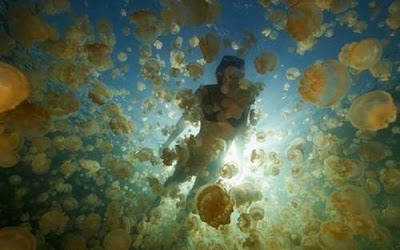 Jellyfish Lake is a famous lake located on Eil Malk island in Palau. 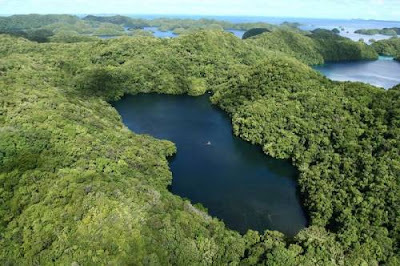 Eil Malk is part of the Rock Islands, a group of small, rocky, mostly uninhabited islands in Palau's Southern Lagoon, between Koror and Peleliu. 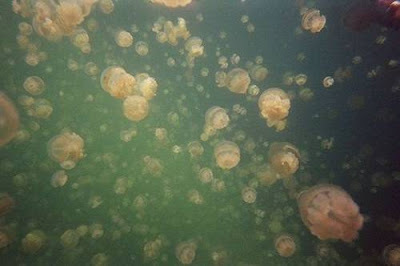 There are about 70 other marine lakes located throughout the Rock Islands. 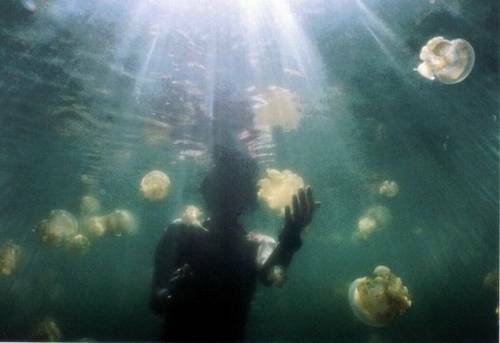 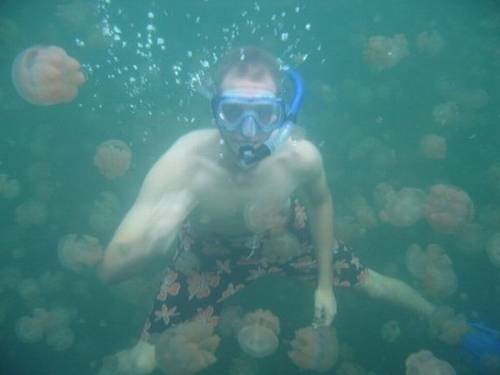 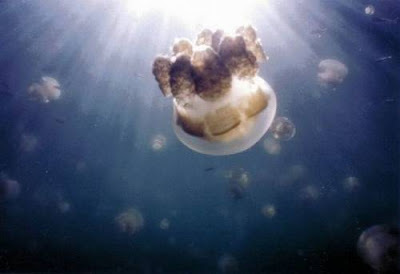 Jellyfish Lake is one of Palau's most famous dive (snorkeling only) sites. 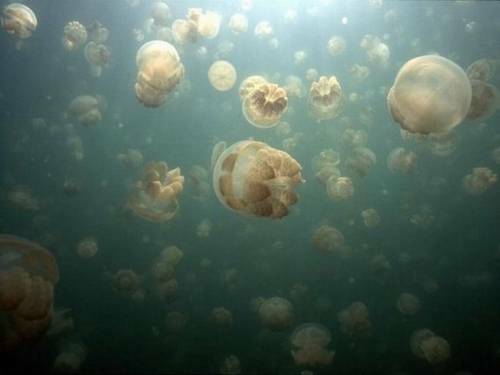 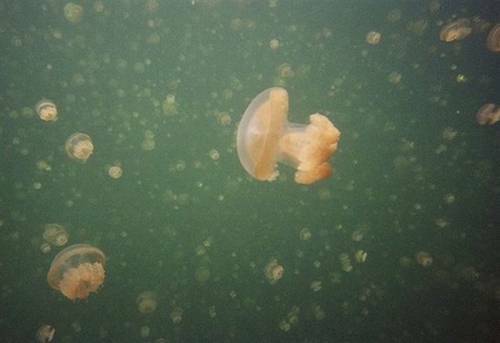 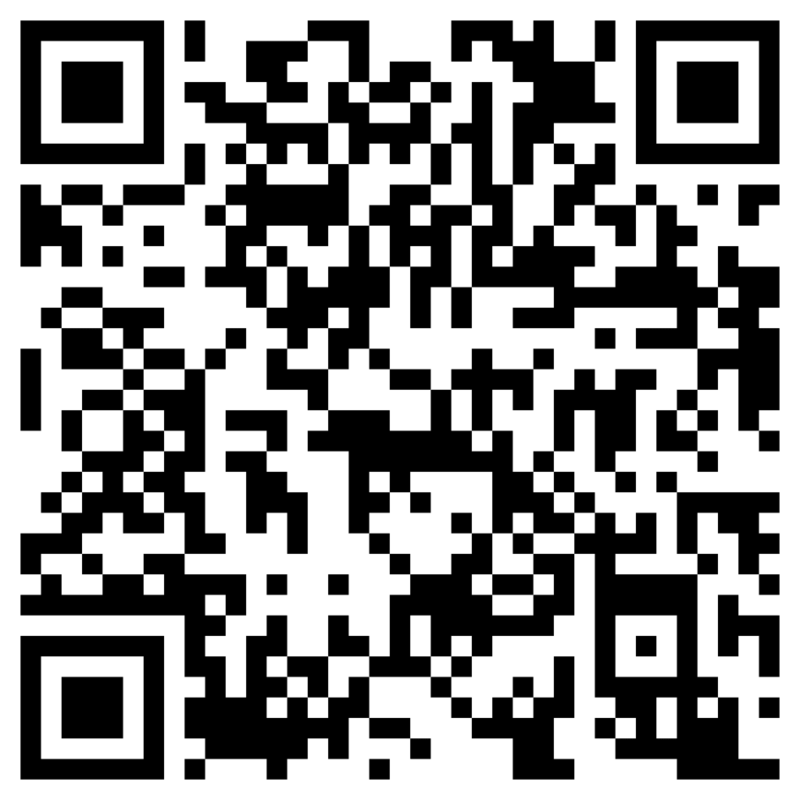 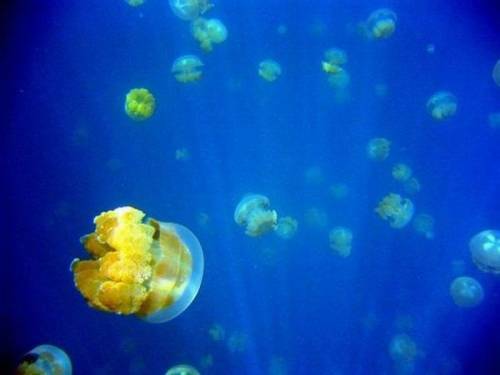 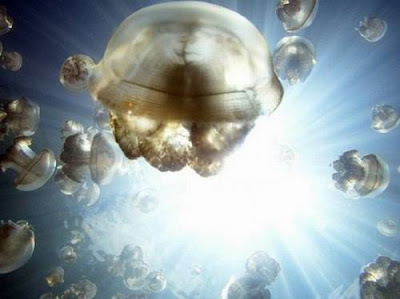 It is notable for the millions of golden jellyfish which migrate horizontally across the lake daily.